First things first: SAFETY. Water beads are NOT a toy. They are not intended for children to use and must not be eaten. Your child(ren) MUST be supervised at all times, and make sure you clean up any stray beads after play. 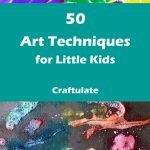 If your child has a habit of putting everything in their mouth, then this activity isn’t recommended. 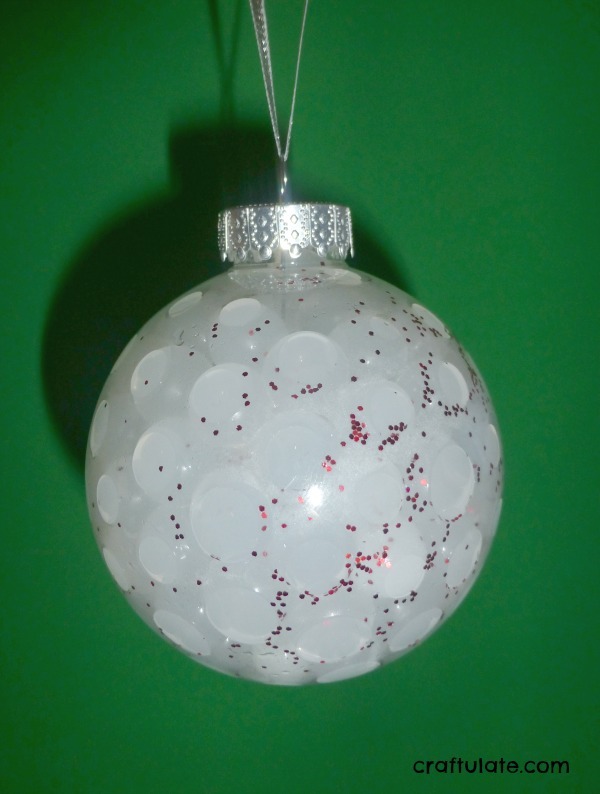 Fillable plastic ornaments, the type that open at the top, not split in half. 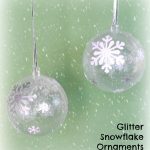 I bought mine from a craft store, but here’s a link to some glass ornamemts I found on Amazon so you know what I’m talking about! My first task was to hydrate the water beads. 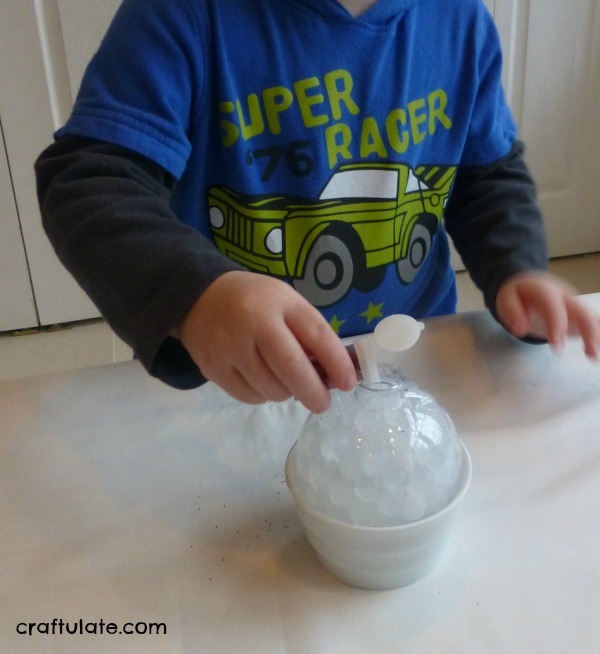 If you haven’t used them before, check out our post on Discovering Water Beads. 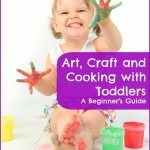 I used a separate dish for each color of bead, added 20 of the tiny balls and ¼ cup water. I covered the dishes with plastic wrap and left them overnight. In the morning they were all plump and ready to go – I just had to drain off a little excess water. I removed the top from the ornament and rested it in a ramekin so that it wouldn’t roll around. 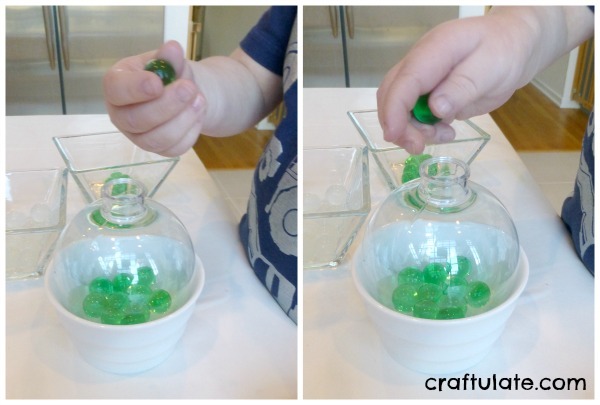 I gave my son the water beads and the ornament and he happily started filling it! He decided to fill one colour at a time, starting with the green. 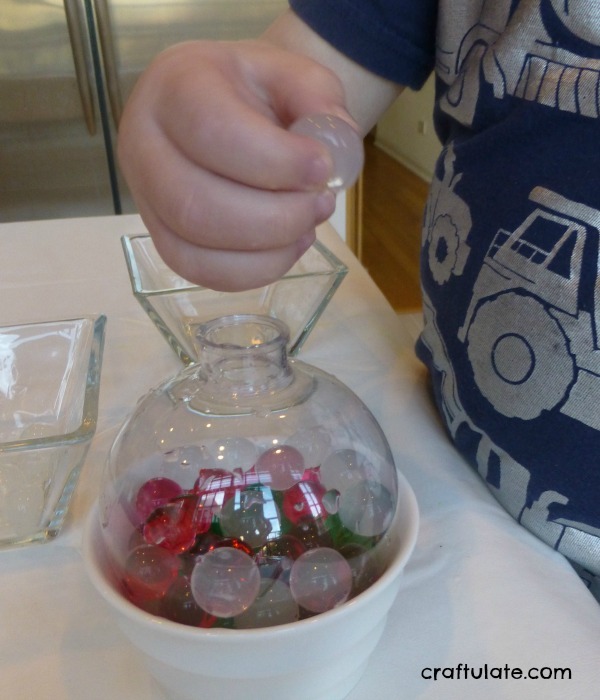 The water beads are slightly squishy so he needed a careful pincer grasp to pick them up and place them in the ornament. Once all the green beads were in, he added the red and the white. 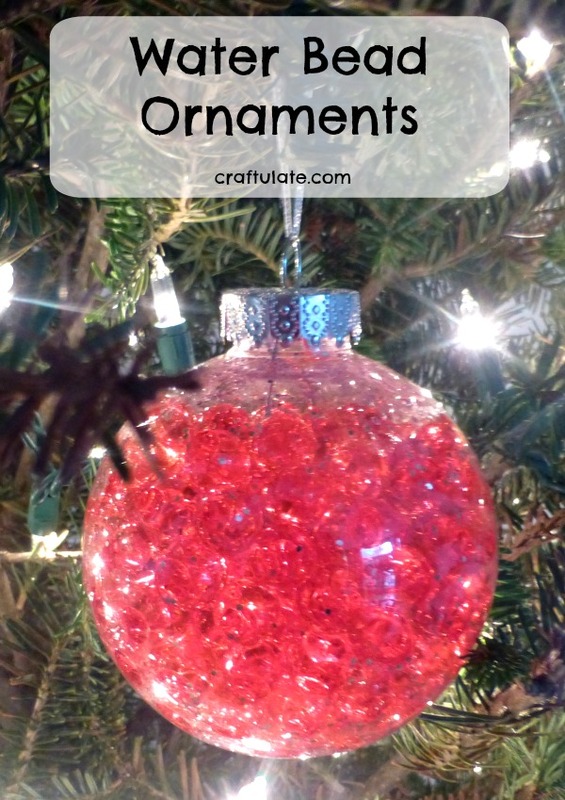 I fastened the top and gave the ornament back to him – he loved it! As you can see, our ornament wasn’t completely full. We used an 80mm ball and approximately 60 hydrated water beads. The next day we topped it up with an extra 60 which pretty much filled it! So you’ll need around 120 for a full ornament! Also, over the course of a few days the colours did merge together which didn’t look so pretty. 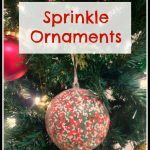 So we tried making single-colour water bead ornaments instead – white with a tiny shake of red glitter, and red water beads with a little silver glitter. 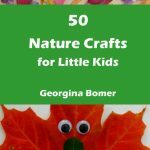 SUPER hard to photograph – I hope you get the idea! 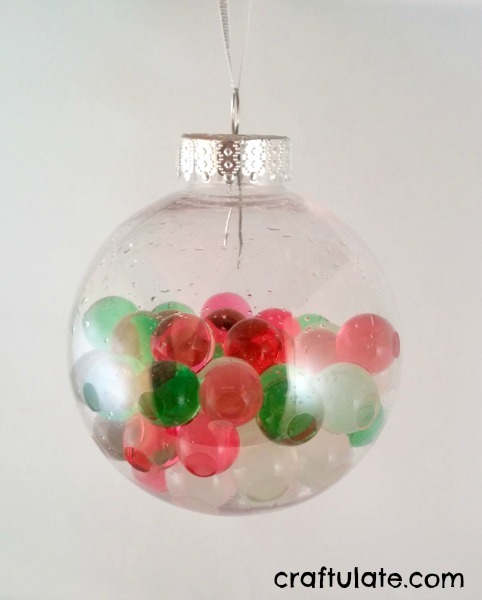 If the water beads start to shrink then just add a tiny bit of water to the ornament ball to keep the beads “plump”. 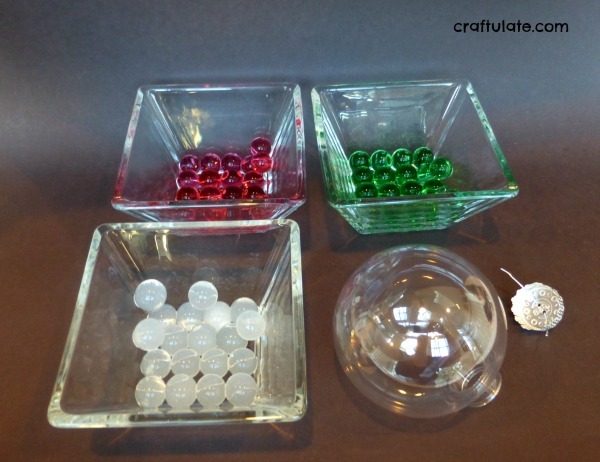 Alternatively, the beads don’t have to stay in the ornament balls – just tip them out and use them for sensory play. 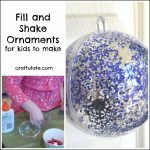 Rinse out the ornament and use it for a different decoration like these sparkly pour paint ornaments! 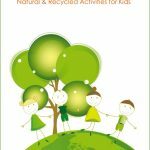 Pingback: Social Media Saturday - Share Your Blogs - Baby Doodah! 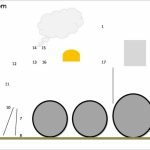 How do you get the top to stay on? I’ve done this before but the weight of the beads would cause the little metal wire to bend and pull out so the lid wouldn’t stay on. The only suggestion I can think of is to glue it but then its impossible to rehydrate the beads. If you’re making them just for one season then you shouldn’t need to rehydrate them – if no air can get in then they’ll stay hydrated. They *do* get quite heavy so I try not to over fill them. 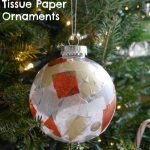 Better quality ball ornaments also have stronger fittings, too!